Thanks Paul! It's weathersealed - and it GREAT to know it really works! No issues with the 10-50, that's sealed. The Panasonic 100-300 was fine too, I made a point not to zoom it in after using it at 300mm in the rain. That meant no water got inside the barrel. As soon as I got into the car I wiped it down with a towel. The lens then worked fine for 4 days after that in showers and blazing sun. All good news! 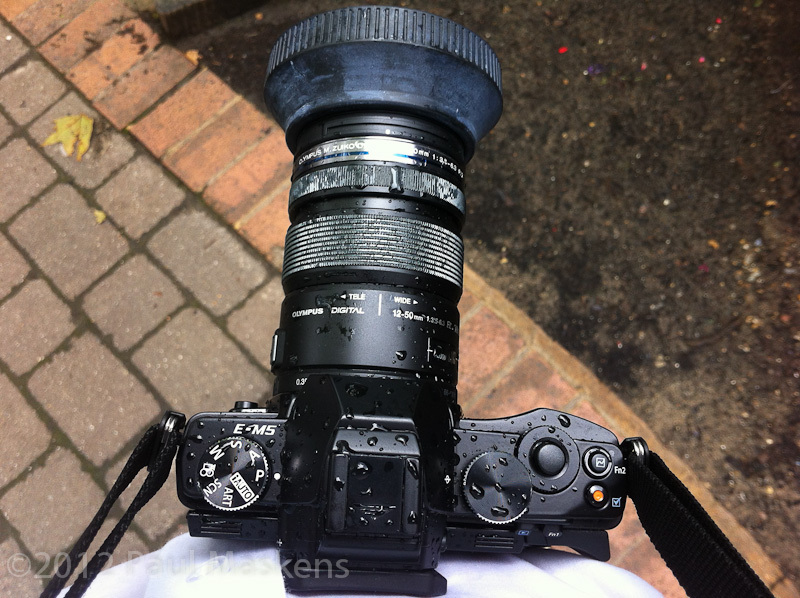 Does weather sealing actually mean that you can use the camera (frequently) in the rain and be assured it will be safe? I need a conversion - I'm not yet a "believer" unfortunately! My new laptop is scheduled for delivery Wednesday which is good news. It wasn't supposed to ship until July 30/31st. It's coming from China - I guess this is good news since Apple computers/tabs come from the same area. I ordered customize yourself from Costco - so have 90 days to be sure it's working! I will be happy to once again have access to photo software and the ability to view/edit, etc. the images from the EM5. I most likely will still use my Dell monitor for viewing, although I'm considering a nice (less-expensive) IPS monitor that has great reviews for viewing images. I wouldn't immerse it, but I'm confident it is rain proof, and so is the 10-50. Next time we get a thunderstorm I'm not going out just to test it for you, OK ?